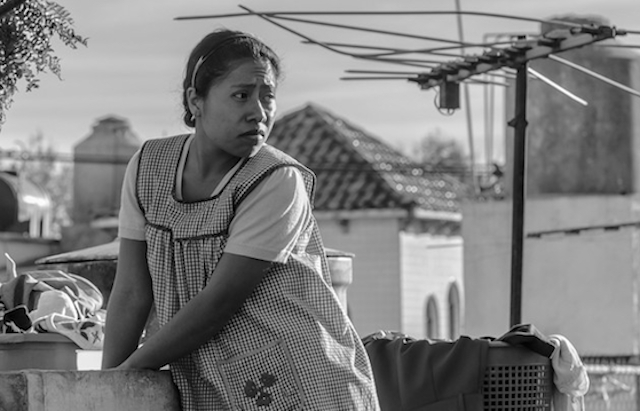 “Roma” is the story of Cleo (Yalitza Aparicio), a domestic worker for a middle class family in the neighborhood of Roma in Mexico City. Cuarón, who also wrote the screenplay, drew on his own childhood as he delivers an homage to the women who were influential in his early years. The film “reflects the human struggle back to a common empathy.” (click for full HollywoodChicago.com review). Both photographer Joe Arce and contributor Jon Lennon Espino of HollywoodChicago.com were at the ‘Roma’ Red Carpet on October 16th, 2018, at the AMC River East 21 Theatre in Chicago, and Espino conducted the following interview. HollywoodChicago.com: Yalitza, “Roma” was your first movie ever. What attracted you to this project? Yalitza Aparicio: Alfonso told me that it was a very personal story and that it was also about life itself. A big part of it had to do with the trust he gave me from the very beginning. HollywoodChicago.com: Marina, your character is based on Alfonso’s mother, Cristina, who died earlier this year. Did you have the opportunity to meet her before making the movie? Marina de Tavira: I met her once. She went to the set on a very important day when we filmed a sequence in which Sofia tells the children that their father will not be coming home for Christmas. That scene took two days to film, but she was on the set for one of those days and we said hello. It was the only contact I had with her but I feel very honored to have been able to give life to such a wonderful woman, who was so beautiful with such beautiful energy, and I felt very grateful. HollywoodChicago.com: Yalitza, your character also was based on a real person, Libo, who was like a second mother to Alfonso. Did you get to meet her before making the movie? Aparicio: I met her days before and I realized right away that she was an incredible person with a huge heart. That gave me a little fear because I did not know if I was going to be able to represent her on the screen like she is. HollywoodChicago.com: Did Libo get a chance to see the film? Aparicio: Yes, she saw it in New York. I ran into her again there and she told me she liked it a lot. She said it was like seeing her past through my character. HollywoodChicago.com: Marina, you grew up in the 1970’s in La Capital [Mexico City], where most of the movie took place. Seeing Alfonso’s experiences on the screen, is it the same Mexico you remember? de Tavira: Exactly like that. My childhood was in the late 1970s/early ‘80s, but there are many things that are in the film that are so authentic. The streets, the magazine stands, the street telephones, the cinema exit, the vendors, the sounds and the traffic was all a tremendous blow of nostalgia. Or it was something more like having something there that I thought I had lost or that was already gone, but in this film it remained there forever. It was a very bittersweet feeling. HollywoodChicago.com: What initially drew you to the project? de Tavira: Everything. Working with an artist the magnitude of Alfonso, the character role and the fact that it was in black & white. I really liked how it signified the return of a director born in Mexico, who has achieved international recognition, but who feels an enormous gratitude to his origins as marked by this film. There is nothing about this project that anyone could say ‘no’ to. It is really a gift of life. 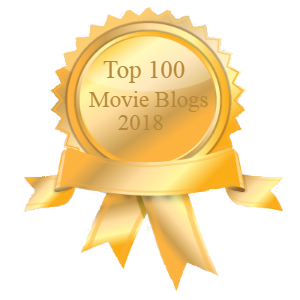 HollywoodChicago.com: Yalitza, the movie had intense scenes that even an actor with many years of experience probably could not achieve, yet you achieved it. What was the most difficult scene for you? Aparicio: Because Alfonso did not give us a script, in many of the scenes I did not know what was going to happen, like the scene of the birth. There is also a scene on the beach that I knew I was going to have to enter the water, but I’m not used to seeing the sea and don’t know how to swim, so that’s the scene that caused me the most fear. HollywoodChicago.com: Mixteco is one of the languages used in the film. Did you have to learn it? Aparicio: Yes, unfortunately I do not speak it. My friend Nancy [García García], who plays the role of Adela, was the one who taught me and I think she regretted it with how much work it ended up being. I felt such a sense of pride that we were able to show part of the culture of Mexico on the big screen. Mixteco is a part of our culture that we should not lose. 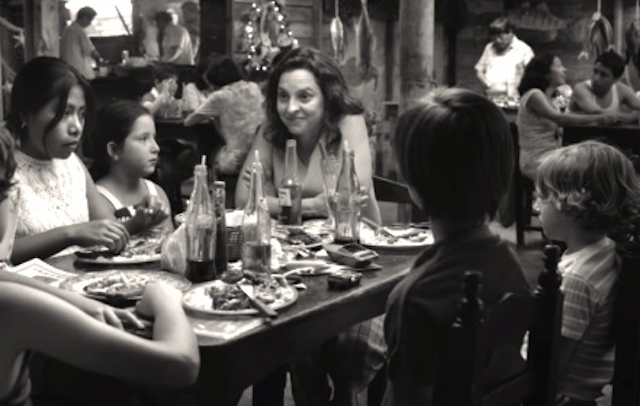 HollywoodChicago.com: Finally Marina, ‘Roma’ is full of themes and messages, but for me, the most powerful theme was about maternal and feminine strength. I was raised by a single mother, so I already know this, but how important is this message for the rest of society that is still full of machismo? de Tavira: It’s very, very important, starting with what you just told me. Sharing these experiences has been the most beautiful part of this movie. As more people see it, I realize how important it is and how many children have grown up in this way. The role that single mothers have had in raising children is a beautiful to pay tribute to and recognize, but it should also be a call to fatherhood and how we need more responsible paternal influences. The 91st Academy Awards will take place on February 24th, 2019, at Hollywood’s Dolby Theater, and will be broadcast on ABC–TV beginning at 7pm ET/6pm CT.